Having been busy recently with several intricate and time consuming projects, I have not posted anything for a few weeks. I will be posting progress on these newer projects soon. But, in the meantime, I thought I would post something I completed earlier this summer. 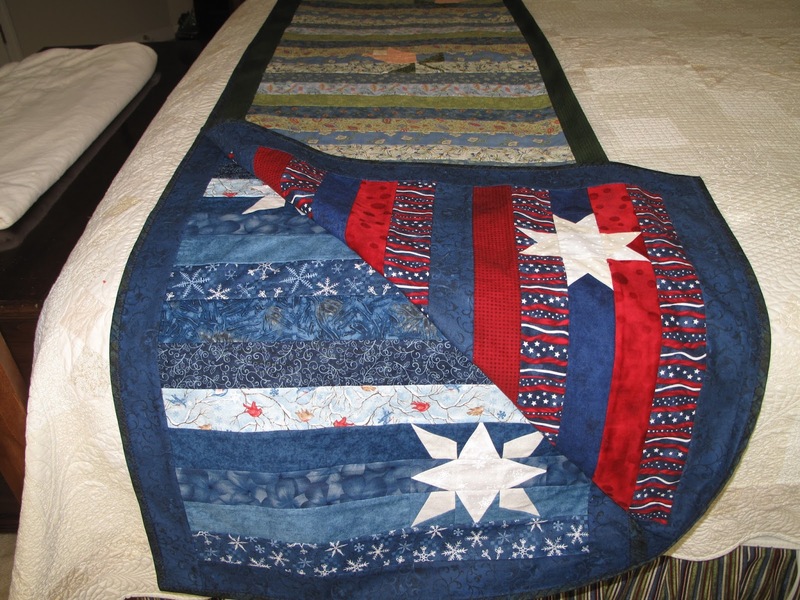 While going through photos of my quilts with a friend, I ran across a project that I had not posted pictures of. 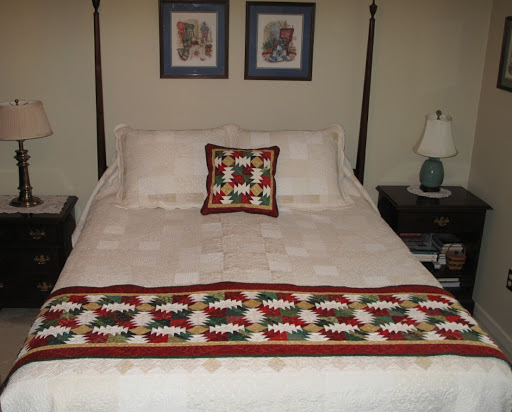 This bed runner was inspired by a pack of fat quarters that I saw at a local fabric store. The fabric made me think about some fused glass supplies that I have in my glass room – millefiori beads. The term millefiori is a combination of the Italian words “mille” (thousand) and “fiori” (flowers). These beads are created by first making pattern rods. On the outside, these rods are a single color. But, when cut across, the pattern becomes visible. This multi-step process requires skill and special glass furnaces. The results of this labor-intensive process are gorgeous “beads” that can be incorporated into earrings, pendants, bowls – any variety of fused glass projects. While I do not have the skill and equipment to make my own millefiori, I have purchased some and love the look of them. So, when I saw this fabric, I thought I would use it in a bed runner to add a real pop of color to my bedroom. 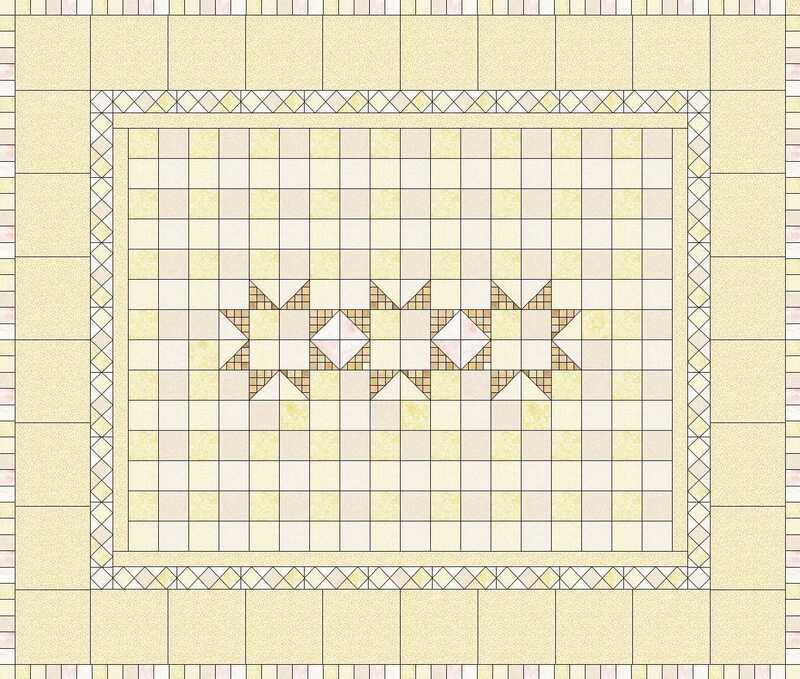 The design for the runner was based off of a photo of a quilt posted on the Blogger’s Quilt Festival. While her project was made with patterned wool felt, I wanted to use my sewing machine’s decorative stitches to create the the pattern in the flowers. 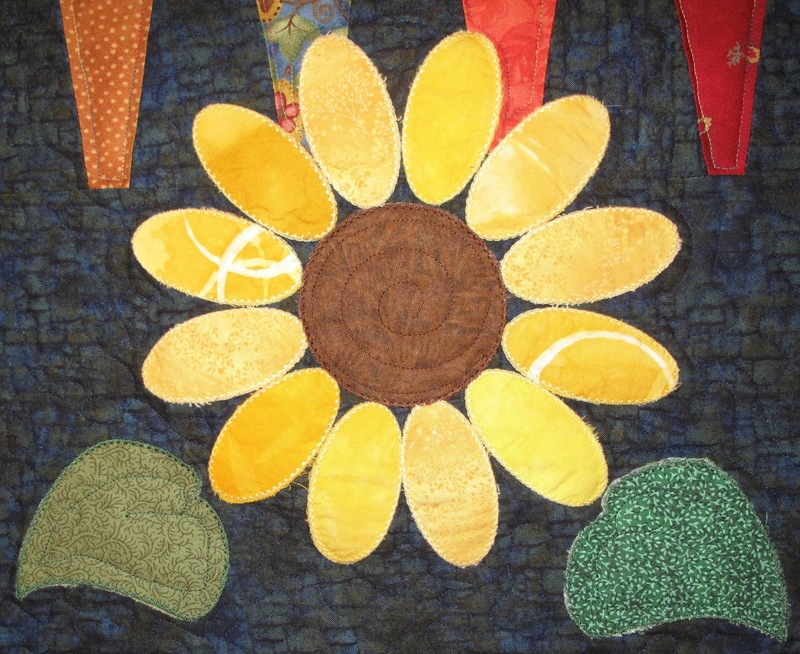 Going through my scraps of fabrics, I appliqued my “flower garden” and then used the lovely “Paperweight” fabrics for the border. This was a really fun project to do. And, as an added bonus, I used up a lot of small scraps that were piling up in my scrap basket and too small to use in most piecing projects. Crocodile Flower Crochet Pillow with Crocheted Daisies on the back. The nice thing about crochet is that I can take it with me to work or when running errands. That way if I am stuck waiting, I can work on my project. When I first learned the crocodile stitch (February 9, 2016 posting) , I really liked the way it looked. And, this stitch seemed to me that it would match my daisy runner very well. Using some yarn in my stash, I started working on this. When it was done, I thought it was a nice complement to my quilt. But, what to put on the back? Well, it’s a daisy bed runner. So, why not try some crocheted daisies. 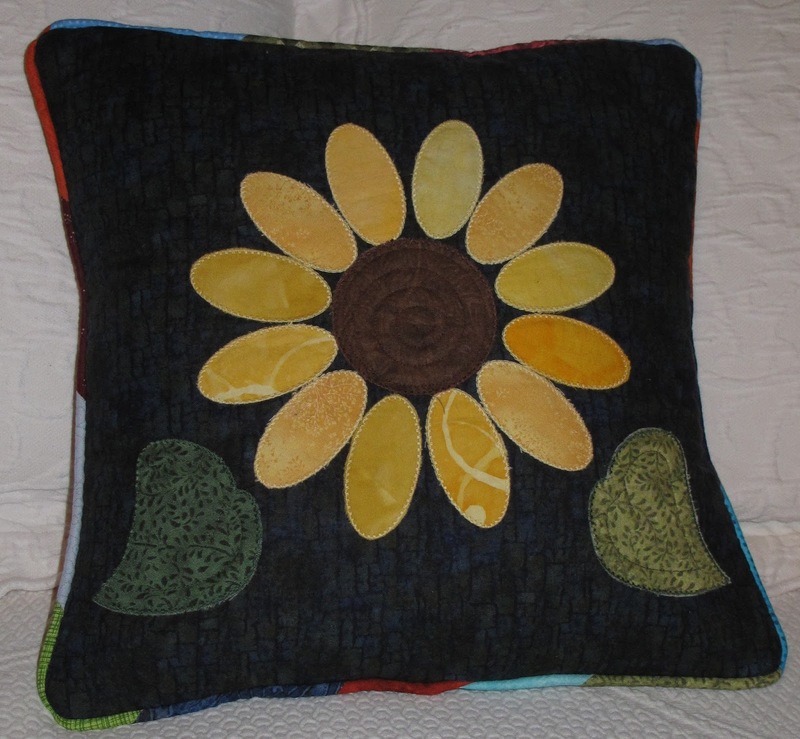 I did an on-line search for a daisy pattern but was unable to find one with leaves behind the petals. So, why not make up my own pattern. With a little trial and error, using some features of the crocodile stitch, this is what I came up with. Rnd 10: ch 1 (counts as first sc), sc in next 8 stitches, sc, hdc, dc, ch2, dc, hdc, sc in loop, *sc in 12 st, sc, hdc, dc, ch2, dc, hdc, sc in loop*, repeat two times, sl st to first ch1. Cut and weave in end = 4 (14sc, hdc, dc, ch2, dc, hdc). It’s the day after Thanksgiving. While many people are out shopping, I prefer to avoid the stores on this day. Over the years, our family tradition has been to decorate the house instead. So, today, the boxes came out and the Christmas decorations went up. To add to the festive atmosphere, a few inches of snow fell yesterday. 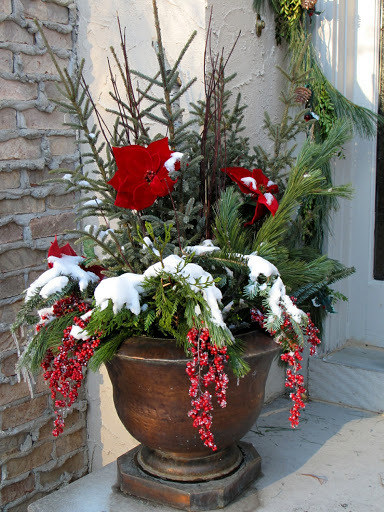 So, the evergreens on the front step are dusted with some fluffy white. The stockings are hung, the garlands are strung and the tree is lit. All I have left to do is put the ornaments on. Just in time for the holiday decorating, I finished up a Christmas Bed Runner. 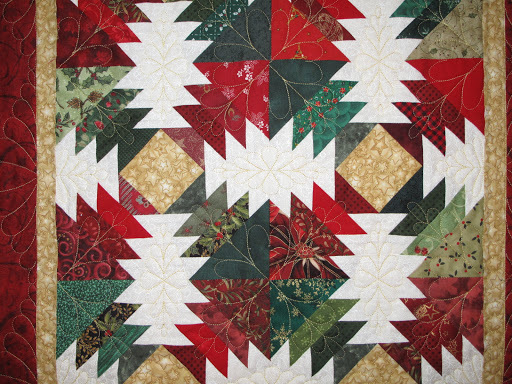 It is made with a pineapple block and scraps of red and green fabrics. 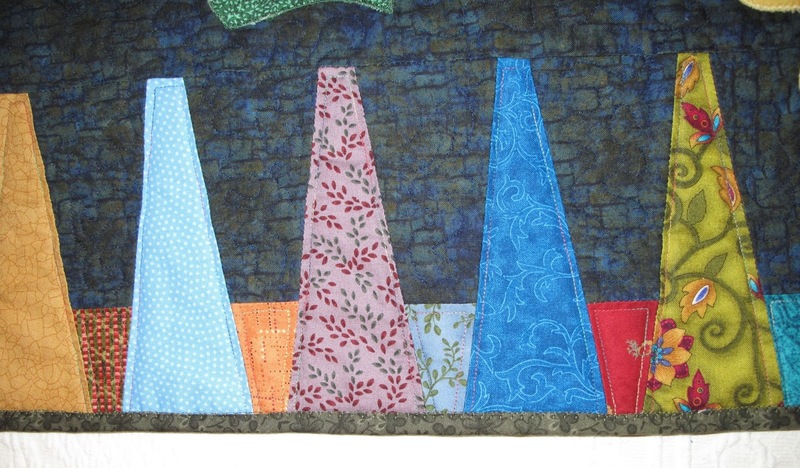 My machine quilting adventure began in 2007. While helping my husband pick up his car from an auto body shop, I drove past a store called Quilt Yourself. Assuming it was a regular quilt shop, I dropped off my husband and went back to do some shopping. What I found was not a place to buy more fabric, but a place to rent time on a long-arm machine. Fascinated, I signed up for a lesson and was immediately hooked! I now had a means to complete more quilts than I could by hand quilting. Soon after, I started designing quilt tops with the quilting in mind. Eventually, I designed a “whole cloth” quilt. 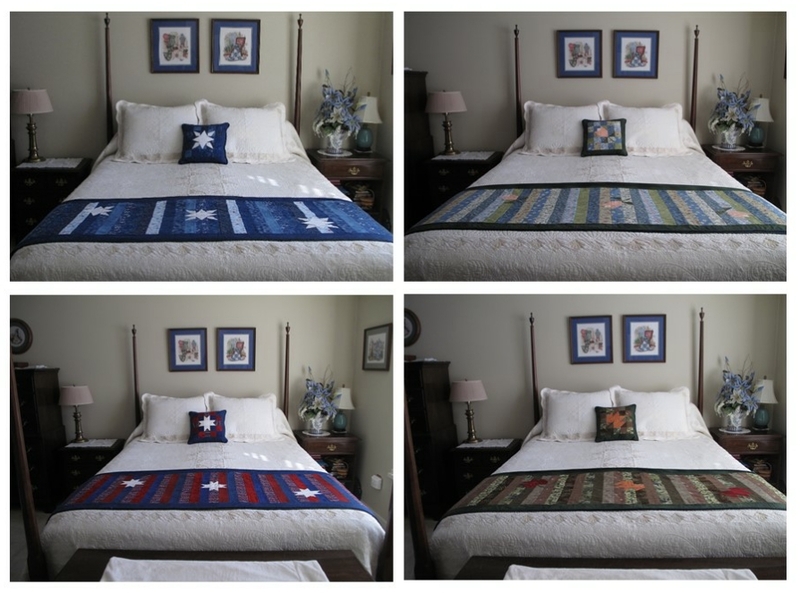 However, I quickly realized that to complete the quilt with the detail I wanted, I would need to spend many hours (if not days) on their machine, all at a fee of $25 per hour and a 45 minute drive each way to get to their location. When I added up the cost of the rental time on their machine, I figured that it would cost about half the price of the actual machine. Thus, I started thinking about purchasing my own long arm machine. 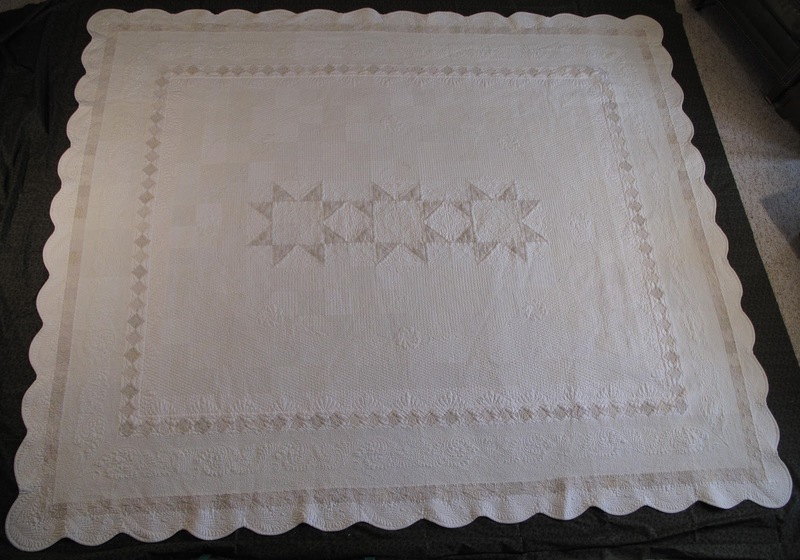 I did eventually purchase a BabyLock Jewel and it was time to make my whole cloth quilt – a design I called Cream and Sugar. After 32 bobbins of thread and an undetermined number of hours quilting, one of my friends told me I should actually name it Obsessive and Compulsive. 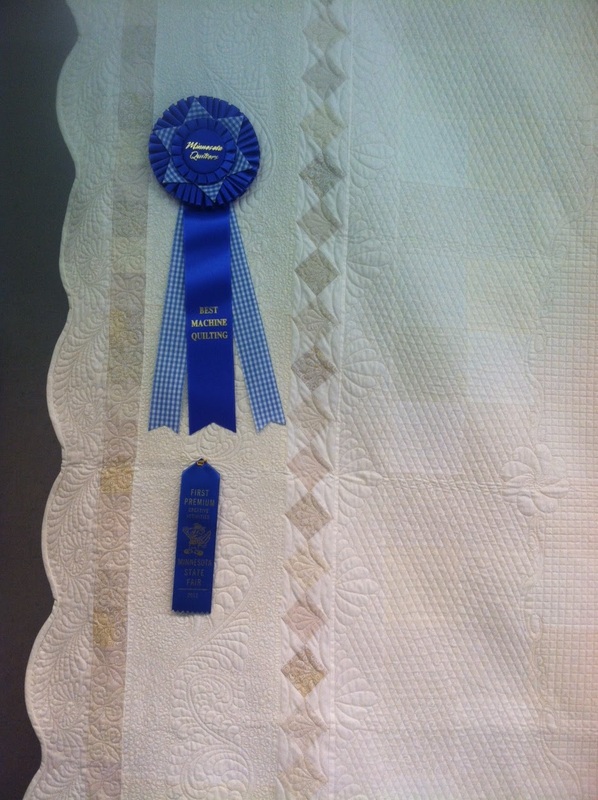 The quilt turned our very nice and has actually won a few awards. 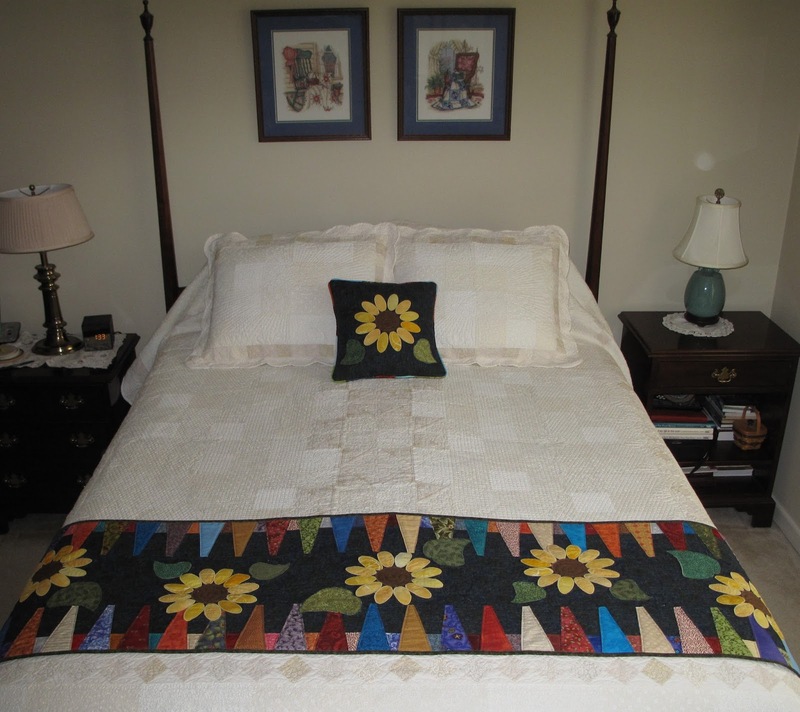 To add some color to the bed, I decided to make a bed runner. Bed runners can pack a big impact in a small package. They are widely used in hotels to add color to a room. While they may warm your toes on a cool night, they would be more worthwhile if they had other uses. As pointed out by one of my sons, “why can’t you sew two of them together?” His statement sparked an idea – a folded seasonal bed runner. Folded, the runner displays the current season. Unfolded, the runner can be used as a thin coverlet when taking a nap or just relaxing on you bed. If you are interested in making one for yourself – I have a pattern on PatternSpot. Enjoy!